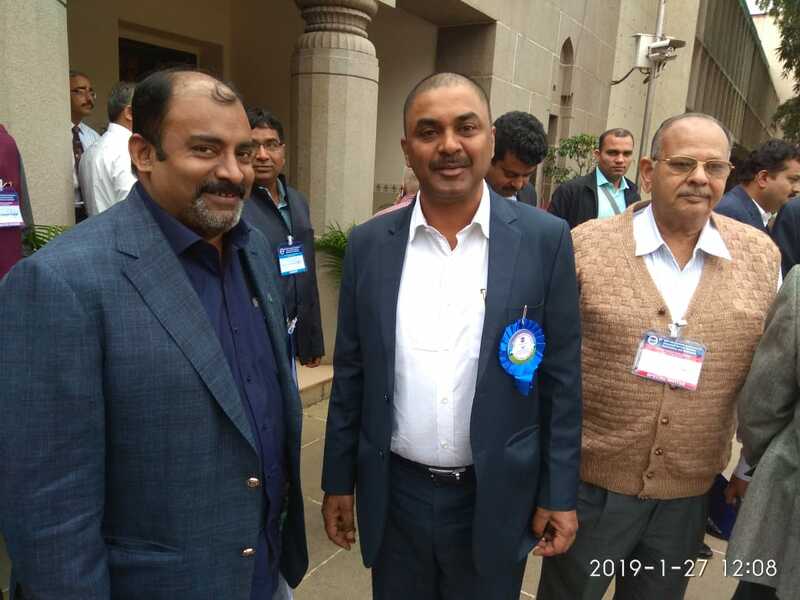 Dr. Anand Jacob Verghese, Pro Chancellor, HITS is elected as Vice President of Aeronautical Society of India at 69 th AGM held at Hyderabad on 27 January 2019. Now, Dr. Anand Jacob Verghese is the Vice President of Aeronautical Society of India, and Chairman of Aeronautical Society of India Chennai Chapter. AeSI acts as the principal Society in India serving professions in areas of Aeronautics, Aerospace and Aviation. Its prime purpose is to advance Sciences, Engineering, Technology and Management of Aerospace, Aeronautics and Aviation; and also foster professionalism of those engaged in these pursuits. Activities including fraternization among professionals, promotion of Aeronautical activities and policy, increased awareness of indigenous/international information/events through lectures, workshops, seminars on subject of topical interest are consistently carried out by AeSI. It also conducts examinations in Aeronautical Engineering twice a year whose clearance has been recognized by the Central Government in the Ministry of Education as an equivalent to a degree in Aerospace Engineering from an Indian University. Approximately 50 candidates graduate every year. The Society publishes Journal of Aerospace Sciences and Technologies, a peer reviewed quarterly journal containing Research Papers, Technical Papers, Full-length Papers and Students Papers on various facets of Aeronautical and Aerospace Sciences; and a monthly Newsletter. An annual essay competition is conducted to recognize and encourage talent among young students, engineers and scientists, and awards prizes to winners. Number of prestigious awards are conferred for outstanding contributions in fundamental/applied research in the field of Aeronautics and Space, every year. International conferences on Manufacturing, R&D with lots of big players of Aerospace like Rolls Royce, Airbus, Boeing are the best features of AeSI.